The Baku Grave Crimes Court continued the trial proceedings on the criminal case of the former head of the International Bank of Azerbaijan Jahangir Hajiyev, his relative Ismayil Hidayetzade, ex-MP Dunyamin Khalilov, also Jamal Hasanov, Sarkhan Rasulov, Natig Imanov, Samir Hajiyev, Tabriz Abdulhamidov, Mahir Gafarov, Sadikh Murtuzayev, Tarlan Maharramov, Fakhraddin Heybatov, Ramin Ahmadov, Fariz Muradov, Salahaddin Gadirov, Erkhan Javad, Arif Ramazanov, Navai Shirinov, Svetlana Asadullayeva, Arif Madatov, Adil Mikailov and Ramiz Karimov accused of embezzlement, Trend reports. At the trial, which was chaired by Faig Ganiyev, it was announced that witness Rashad Hajiyev sent a telegram to the court that he is absent in Azerbaijan, and therefore cannot take part in the trial, and confirmed the evidence given during the investigation. The judge noted that another witness, Rauf Khalilov, is also absent, he is in Canada, but didn't inform the court about this. 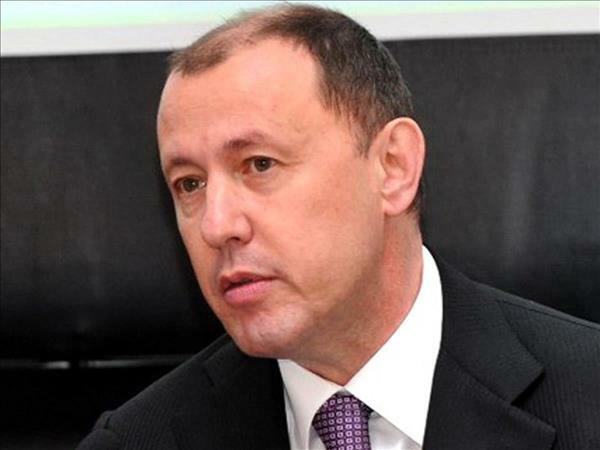 Speaking as a witness at the trial, Rovshan Ismayilov said that he worked at the International Bank of Azerbaijan (IBA) since 1997, and in 2002-2012 was deputy chairman of the bank's board. Another witness, Shahin Rasulov, confirmed his testimony given during the investigation. He said that despite being a member of the IBA Credit Committee, he didn't participate in its meetings. It was announced at the trial that one of the loan documents, on the basis of which the bank granted a loan, lacks signature of the accused Erhan Javad. Javad, who confirmed this fact, said that the loans were sent to a jewelry store that was selling diamonds. According to official information, during investigations there were reasonable suspicions that contracts for the purchase and sale of promissory notes in the amount of $3.4 billion and 987 million euros were concluded with some legal entities in various countries and illegal transactions were carried out by using promissory notes in 2001-2015 upon Jahangir Hajiyev's instructions, who was the chairman of the Board of the International Bank of Azerbaijan. Moreover, there were reasonable suspicions that Khalilov, 20 more people, as well as other people, caused damage to the bank, misappropriating 4.7 billion manats. Moreover, Hajiyev declined to pay taxes to the budget in the amount of 1,752,000 manats from the profit of Aztorg LLC, jointly led by Hajiyev and Khalilov in 2011-2014. The Baku Grave Crimes Court previously sentenced Hajiyev to 15 years in prison, Dunyamin Khalilov to 13 years, and Ismayil Hidayetzade to 7 years in prison. Khalilov's sentence was reduced from 13 to 12 years and 9 months by a decision of the Baku Court of Appeals; Hidayetzade's sentence was reduced to five years by the Supreme Court.